A well organized event with lots of gear to try. 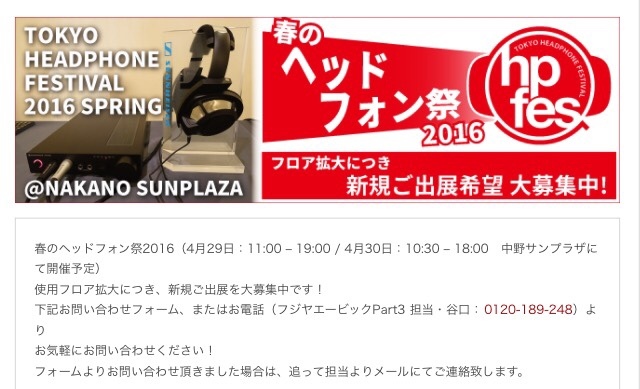 April 29th, 30th at Nakano, Tokyo. Head pie is going, email us If you want is to visit your table and say hello.